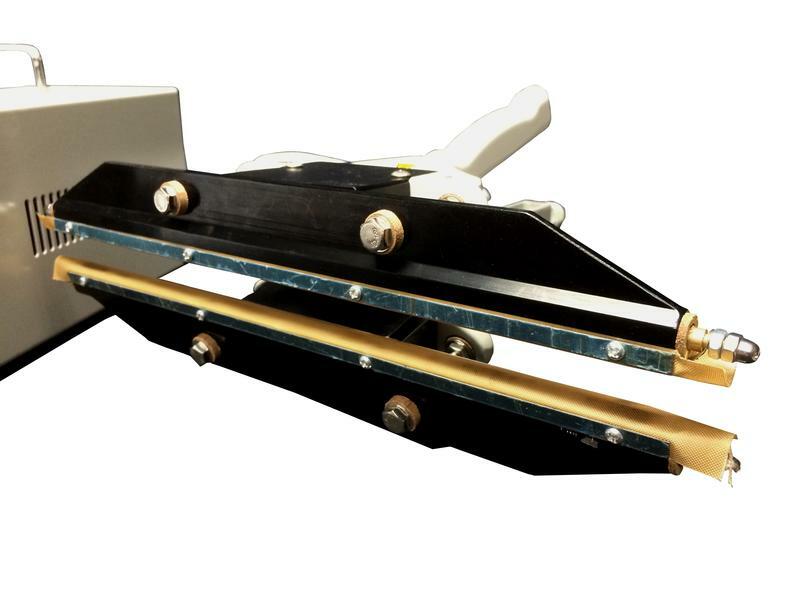 FKR-A Double Impulse Portable Sealer — Sealer Sales, Inc. The FKR-A series is our newest additions to our portable heat sealers utilizing impulse sealing. Our impulse sealers are lightweight and easy to use anywhere. Available in 8", 12", and 16" seal lengths, the FKR-A series sealers are ideal for sealing polyethylene and laminated foils. Applications include sealing around oddly shaped products including drum or box liners for sealing around large objects. Seal Length 8" 12" 16"